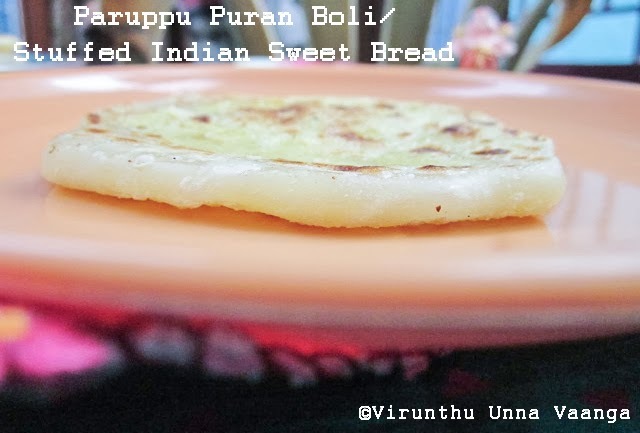 I love the boli much, it has many varieties and Kadambur is popular for boli varieties. 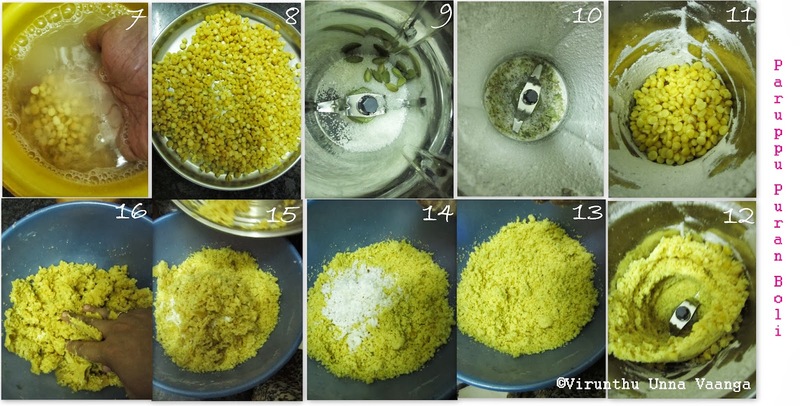 Soak the channa dal for 2 hour. 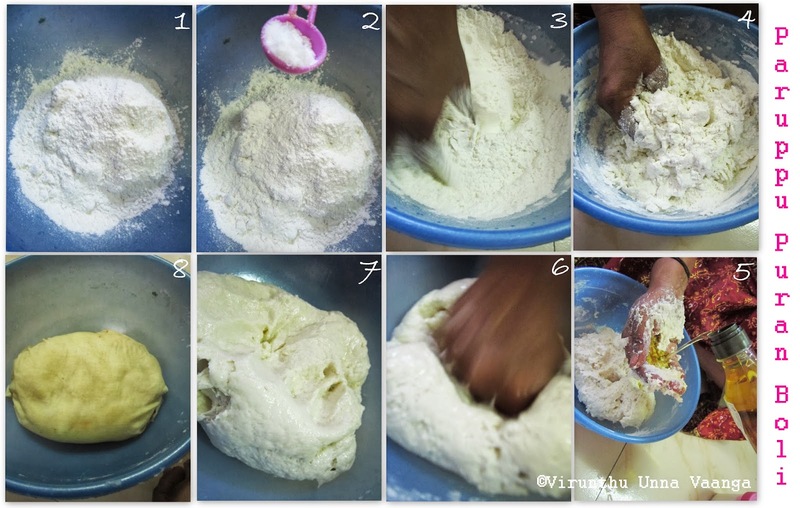 Take a maida, salt in a big bowl add water little by little to knead it, then add oil and knead it into a smooth bowl. Cover the dough with damp cloth till the filling is ready. Pressure cooks the channa dal with 2 cups of water for 3 whistle and drain the dal and cools it completely. Take cardamom seeds with 1 Tbsp of sugar in a blender, and make powder it then add channa dal then grind it into coarse powder, it will be coarse mixture. 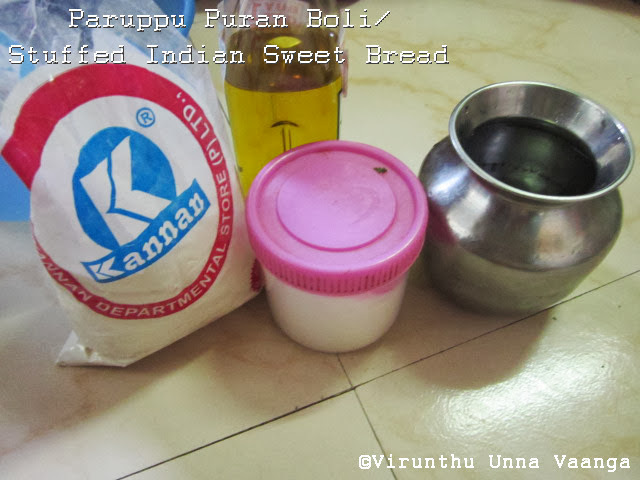 Now transfer this mixture into the bowl, add grated coconut and powdered jaggery and knead it like dough. Take 1 Tbsp of the dal mixture and roll it like a ball. Take the maida dough, knead it once then pinch small dough and make a lemon size ball. Make both dal and maida balls in equal numbers. Now grease the plate or counter top with oil and take the maida ball and press it with oil greased hand into a circle. 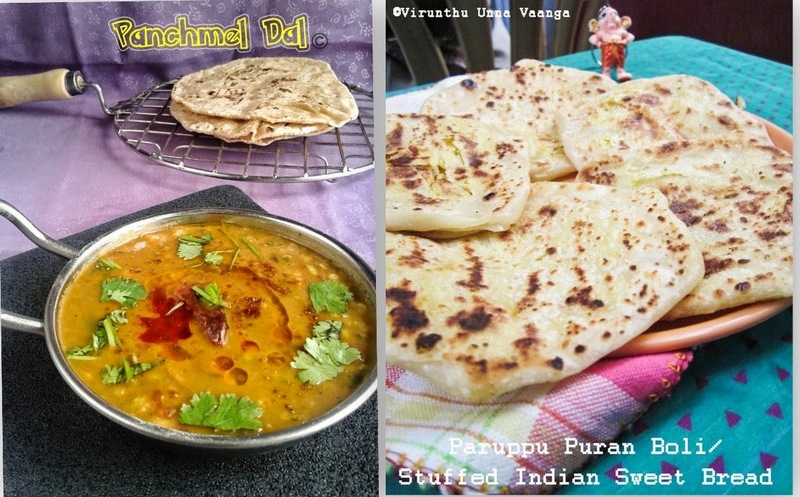 Keep the dal ball into the center of the dough and cover it by all sides. Again press by hand into a circle shape without stuffing leak. 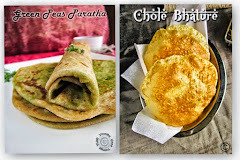 Heat the dosa pan, drizzle some oil and cook the boli on both sides by flip it. 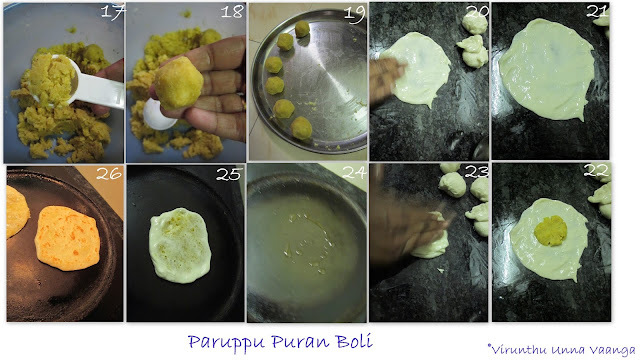 DELICIOUS AND LIP-SMACKING PARUPPU PURAN BOLI!!! 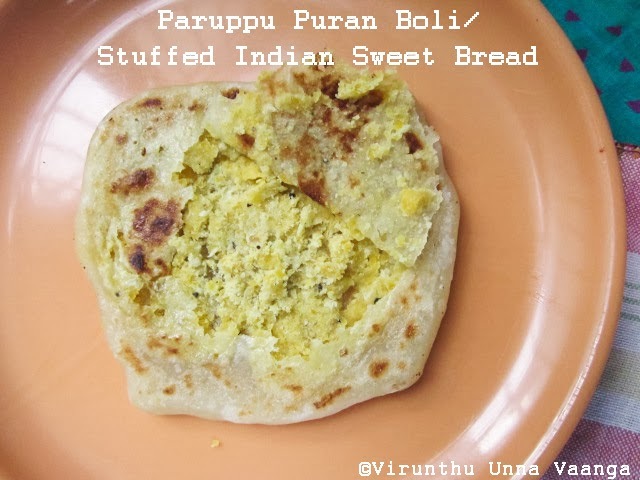 You can add turmeric powder to the dough to get bright yellow outer layer. Maida dough should be in elastic consistency, so don’t worry to add enough oil to get good texture of the boli. 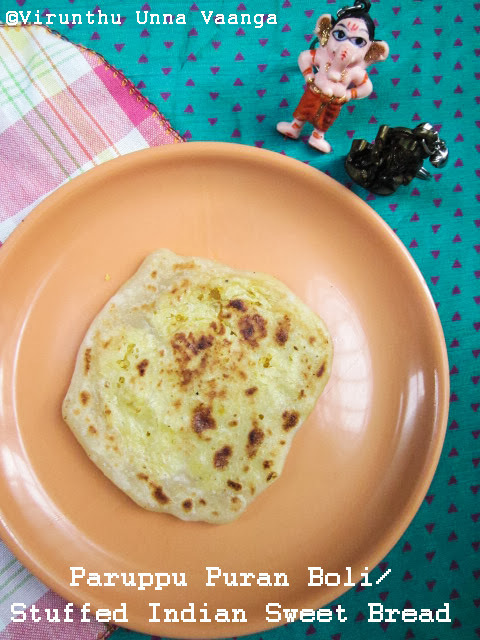 For rich flavour you can toast the boli with ghee instead of oil. i love the pictures. so cute.. Perfectly made, looks lovely ! 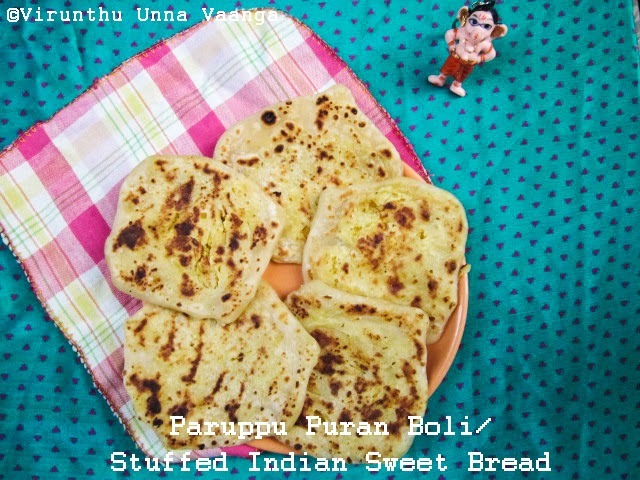 drool worthu poli looks super deliicous and make me hungry am going make this right away :) we make puran poli with wheat flour in festive seasons :) this looks super yummy !! Super like, my favourite bolis..Give me that plate Viji, i love that ganesh idol very much. Lovely polis looks delicious.. cute Ganesha clicks is so beautiful. 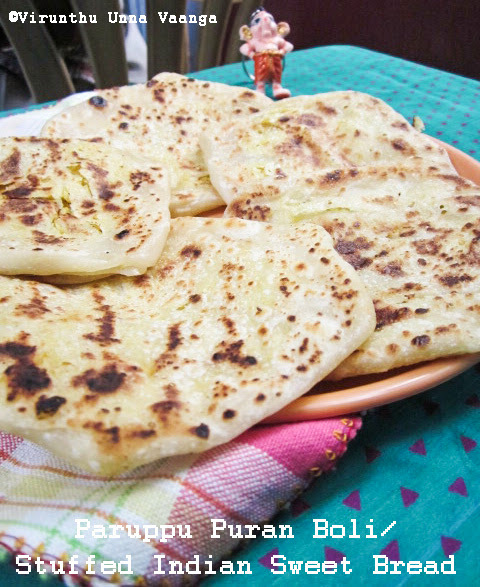 very tempting and lovely puran poli..one of my favorite. 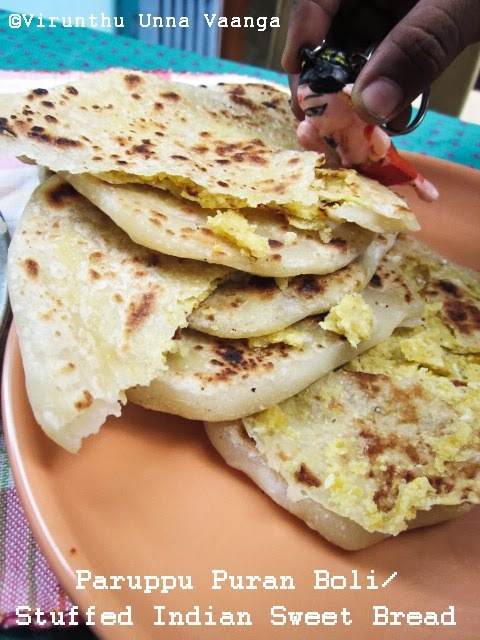 Wow...love it..looks too soft and flaky!! 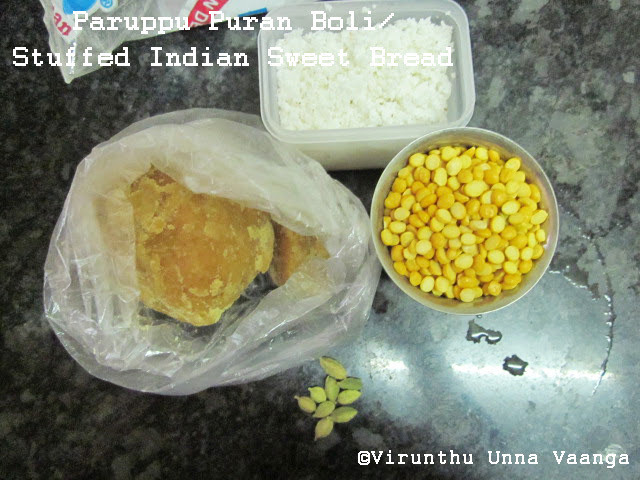 Delicious puran boli Viji, that standing vinayakar is awesome love it. 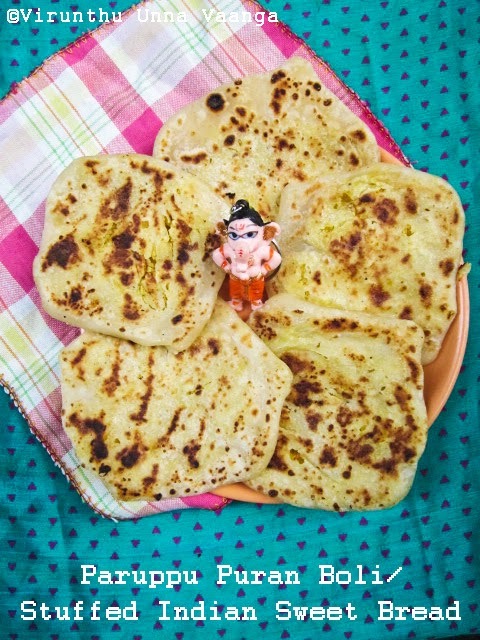 Vinayagar statue is so cute.. Obattu is my family favourite prepared for all family occassion.. Love the outcome dear..